One of the primary goals of our blog is simply to inspire people to travel more. So, when we got a call from a nearby community college asking if we’d be interested in teaching a course on Nebraska travel, we jumped at the opportunity. Southeast Community College in Lincoln did a great job promoting our class online and in their print materials like this course catalog. And so, last night, we found ourselves standing at the front of a classroom at Southeast Community College in Lincoln with a pile of Nebraska maps and travel guides and a curiosity of who would want to come to hear “us” speak. 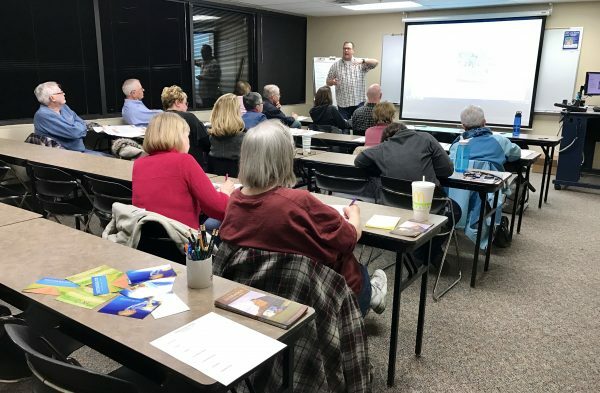 Our anxiousness subsided when we realized we had a wonderful group of attendees who were genuinely interested in Nebraska travel — just like us. We started the class with brief introductions, asking participants to share their name and a favorite Nebraska destination or attraction. 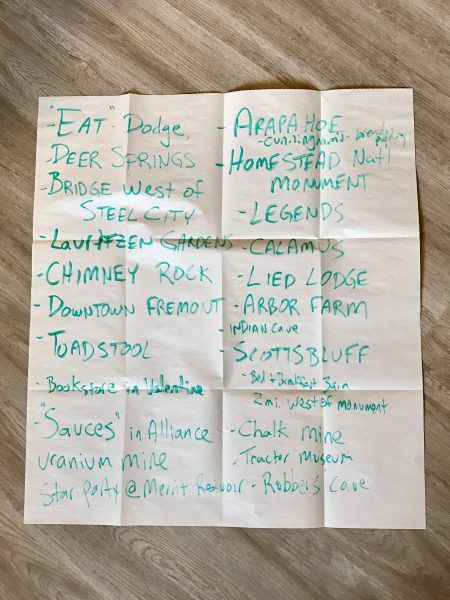 Their responses included towns like Arapahoe, Scottsbluff and Calamus to interesting places like the bridge west of Steel City, Homestead National Monument in Beatrice, and Sauces restaurant in Alliance. Participants shared their favorite Nebraska destinations and attractions during introductions. We had a great time getting to know everyone and hearing about the places they’d traveled. We weren’t surprised that there were lots of Nebraska destinations with which we were not familiar but are now excited to see. After being in school administration for the past several years, Steve loved getting back into the role of teacher. We shared a little bit about ourselves, our hometown of Crete, and our travel blog. 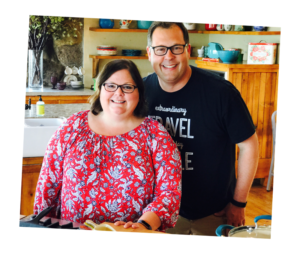 I shared the story of how our interest in Nebraska travel began. 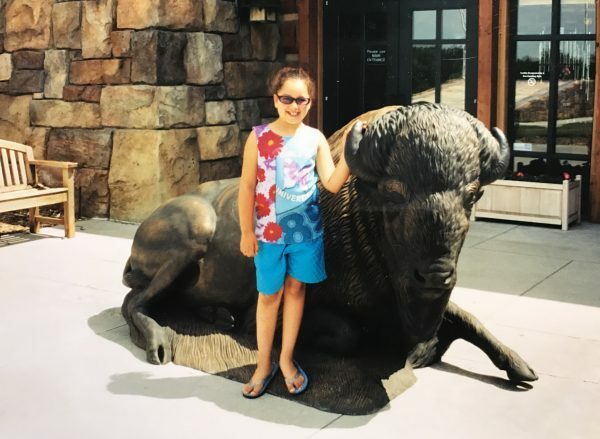 In a nutshell … when our daughter, Meghan, was about to start 4th grade and learn about Nebraska history, I realized I’d never taken her anywhere in the state west of North Platte. That summer, we packed a cooler with peanut butter sandwiches, drinks, and snacks, and headed west to explore the Oregon Trail and Chimney Rock and Scottsbluff Monument. We stopped for a picture in Friend at what was then the smallest police station in the country. We went through the Great Platte River Road Archway Monument near Kearney, and stopped at a few museums in North Platte. Meghan, the summer before 4th grade, at the Great Platte River Road Archway Monument near Kearney. Then, we got to Ogallala. We took in the Front Street Review that night and at someone’s recommendation, drove north a bit to see the Nebraska Sandhills. We were mesmerized by their beauty and just kept on driving. Needless to say, we never made it to Chimney Rock, but instead, spent the rest of or vacation exploring the rolling hills of north central Nebraska. The next summer, we decided to go on another Nebraska trip and this time, we stayed more focused and made it to Scottsbluff/Gering where we hiked the Scottsbluff Monument, visited Chimney Rock, and Meghan even got to go for a ride in a horse-drawn covered wagon on The Oregon Trail. 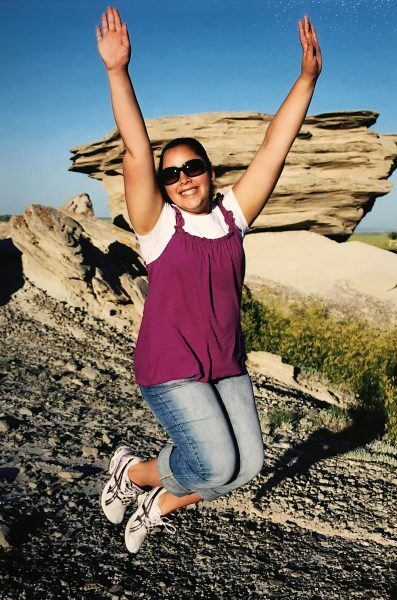 Jumping for joy at Toadstool Geologic Park near Crawford, Nebraska. From that point on, Nebraska road trips became part of our summer routine and we even took a weeklong trip around the state last summer after she graduated from college. 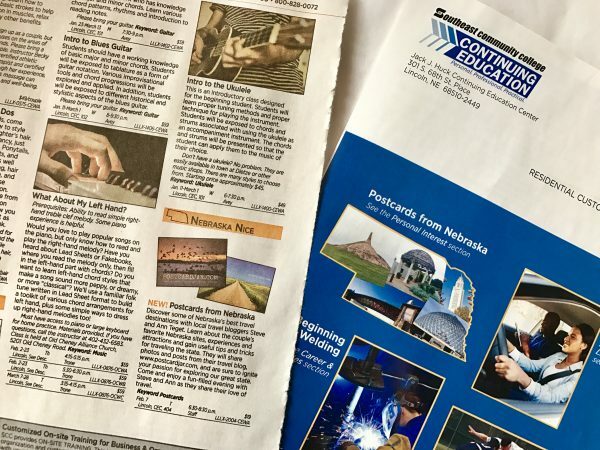 After those introductions with our Postcards from Nebraska class, we dove right into our presentation, sharing some of our favorite Nebraska destinations and attractions. 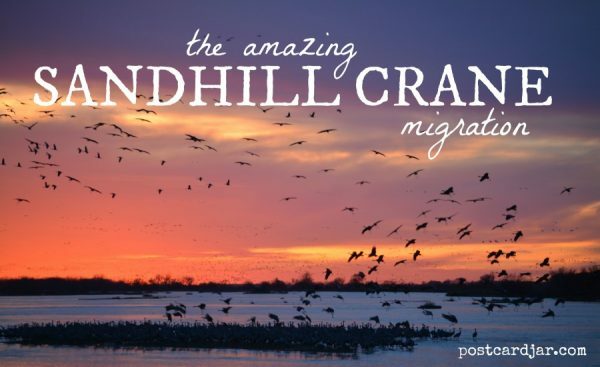 We talked about Innkeeper Jeanne at the Olde Main Street Inn in Chadron and shared our experiences near Grand Island during the Sandhill Crane Migration. We answered questions along the way and got a few laughs when we spoke about watching the trains hump at Bailey Yard in North Platte and when we tried to explain our quest to find the hidden memorial that pays tribute to Andy the footloose goose near Hastings. 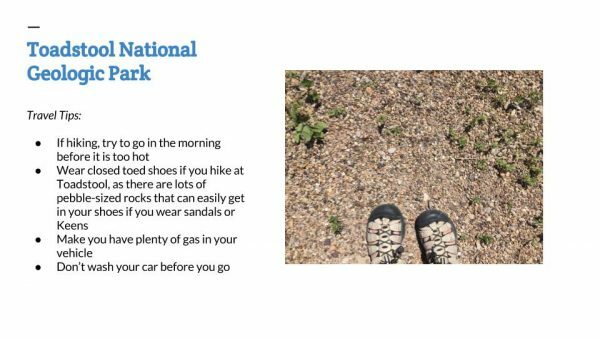 We included useful information about each place and also tried to give a few Travel Tips — like don’t wear sandals or Keens if you’re going to hike at Toadstool, as there are small rocks that get into your shoes. One of the slides from our presentation with a few Travel Tips. The two-hour class breezed by and before the end of the evening, everyone had shared a story or two about their own Nebraska adventures. One of the participants asked if we could have a “reunion” class to discuss all of the new places we were all planning to go. That may just have to happen. 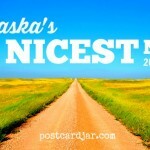 Everyone took home a 2017 Spring/Summer Nebraska Travel Guide and Nebraska road map, and even gave them a postcardjar.com postcard of their choice. 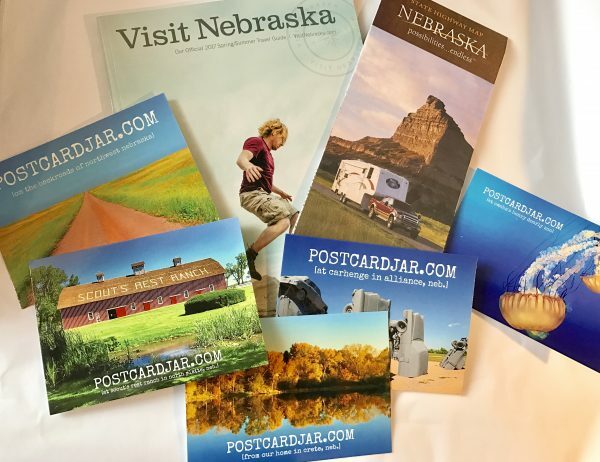 We gave participants the 2017 Nebraska Travel Guide as well as their pick of Postcard Jar postcards. After everyone said their goodbyes, Steve and I gathered our things and headed out. We talked most of the way home about how much fun we had sharing our travel experiences in this place we call “The Good Life” and how we couldn’t wait to do it again.